The Club Conflict Client (Windows 7, 8 and 10 compatible) is required to connect and play on our CS:GO servers. 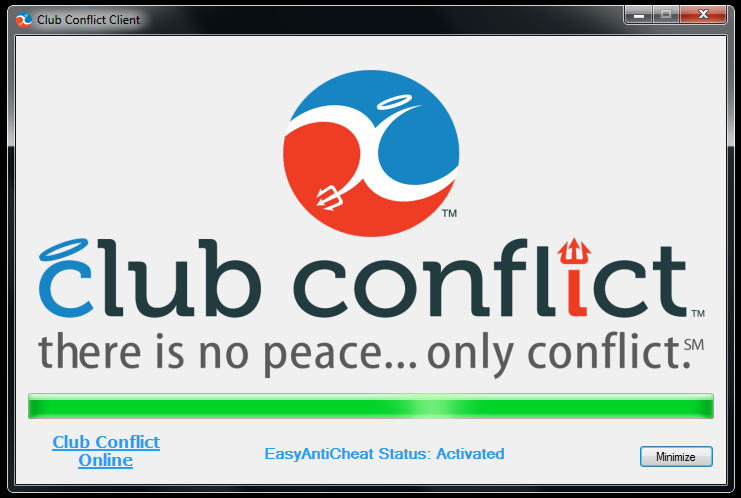 We have updated our Club Conflict Client. The file will update your current install of the client. Our client features Easy AntiCheat and is compatible with Windows 7, Windows 8 and Windows 10.